Creation: Appeared in 1945 as a renumbering of the northern discontinuous piece of VA 17. Pretty much ran as it does today. 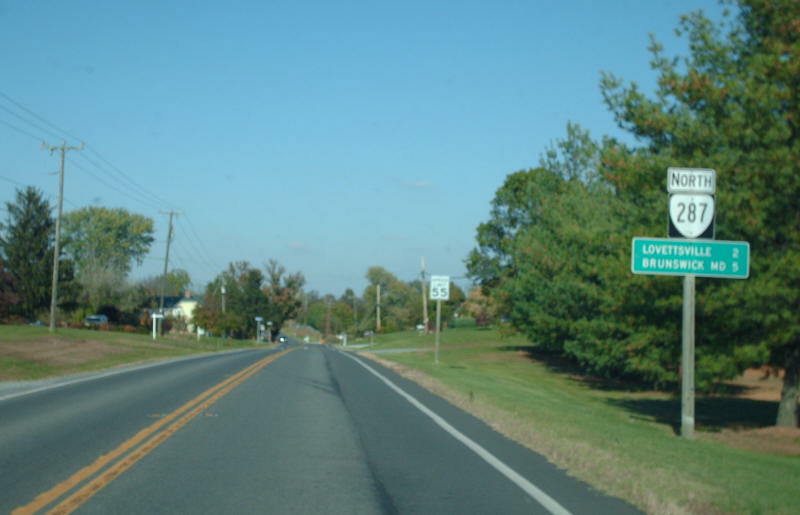 This is the 3rd VA 287. 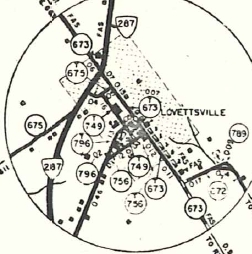 Adjustments: In December 1947 (CTB), VA 287 was rerouted in Lovettsville to skirt around the west side of it. This left behind SRs 796 and 673. 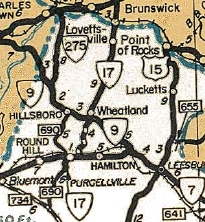 In October 1981 (CTB) the lower end of VA 287 was adjusted to meet VA 7 east of town instead of in it, leaving behind SR 722. Comment: The bridge over the Potomac River is built so that you pass over the town of Brunswick, MD. Incidentally, MD 17 should be MD 79 at the state line. 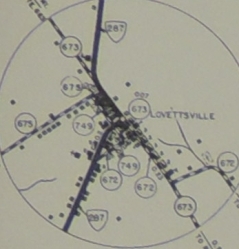 VA 287 #1: Appeared in July 1933 as a renumbering of an unknown VA 5xx route. 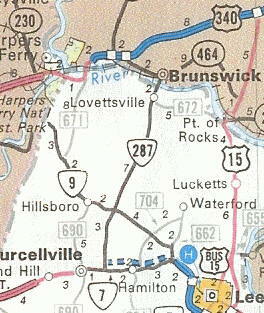 Ran in two pieces: US 58 (now VA 337 ALT) Alexander Corner east to Portsmouth WCL and also Portsmouth ECL across the original Jordan Bridge to VA 27 (now US 460) South Norfolk. 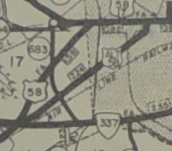 NOt shown on the main official map or Norfolk inset but is shown on the 1933 Norfolk County map. It is a litte uncertain what happened here. This route was added to the primary system in May 1933 and then mentioned again with a larger batch of additions in Aug 1933. 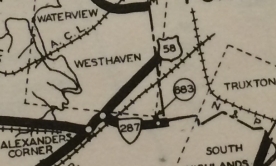 By Oct 1934 this was renumbered as part of US 460. 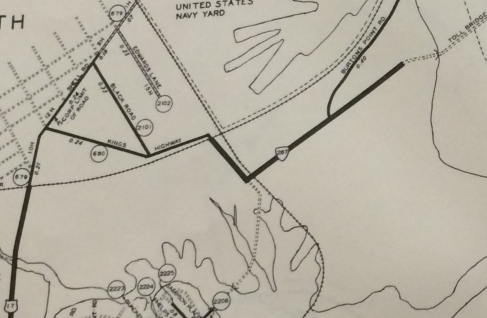 Note US 17 not in primary system north of the railroad...? 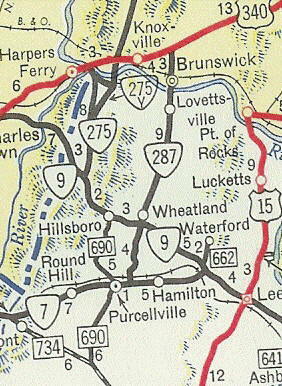 VA 287 #2: Appeared by Oct 1934 as a renumbering of a section of US 58. 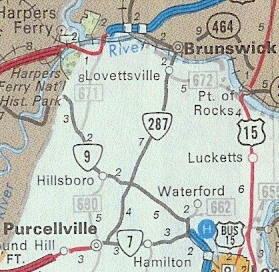 Ran from US 58-460 (curr US 58-VA 337 jct) to US 58 (curr US 58-VA 141 jct) on Turnpike Rd. within Portsmouth. This was renumbered as US 58 ALT in 1945. Today it is the un-multiplexed part of Portsmouth's VA 337 ALT.